FLU (Influenza) SEASON IS HERE! There have already been cases reported in Ontario of Influenza this 2015 season. Influenza is a contagious respiratory illness caused by the influenza virus. The influenza virus circulates annually in the winter season in Canada. Every year different types of the influenza are active, requiring an annual “flu shot”. The virus is easily caught and easily spread when infected people come in contact with non-immunized people. Influenza can keep a healthy person out of commission for up to one week and perhaps longer. How would your business handle half of their employees being sick at the same time? And this is all due to a preventable illness. 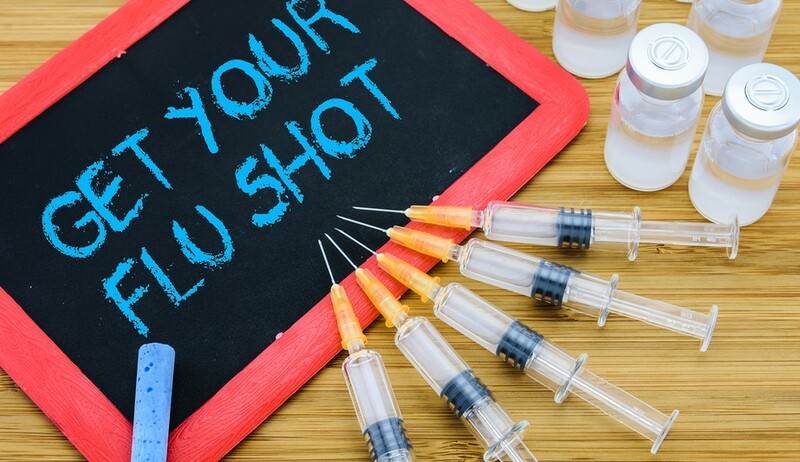 Influenza typically starts with a headache, chills and cough followed by fever, loss of appetite, muscle aches and fatigue, runny nose, sneezing, watery eyes and throat irritation. Nausea, vomiting and diarrhea may also occur especially in children. Influenza can worsen a current medical condition such as diabetes, lung disease, heart disease or cancer. Every year, 10-20% of Canadians are infected with influenza. There are approximately 4,750 hospital admissions yearly in Ontario for influenza-associated illnesses and approximately 1,365 influenza-associated deaths per year in Ontario. In the US, the CDC estimates that flu costs more than $87 billion annually and is responsible for close to 17 million workdays each season. HELP KEEP YOUR EMPLOYEES AND THEIR FAMILIES HEALTHY THIS FLU SEASON BY CONTACTING US TO SET UP A WORKPLACE FLU CLINIC.